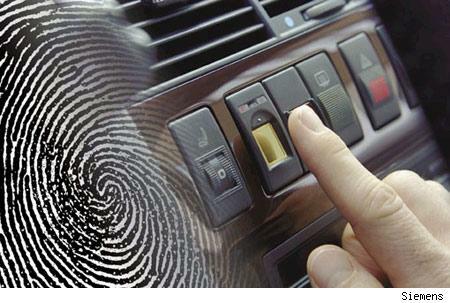 Just ten years ago, a fingerprint scanner connected to a car's ignition would have sounded like something Q installed in 007's next Aston. Things are quite different today, with the proliferation of biometric readers on cheap devices like USB keys and laptops. The next step is obviously the modding crowd, so we're not surprised that such in-car systems can now be found for sale on the web. A new device, called the ATRD M10, makes it possible for you - and only you - to fire up your pride and joy. To start the car you need to pop in the key and turn in the ignition, then place your finger on the small scanner pad and wait for a LED indicator to turn green. If the fingerprint doesn't match up with the ones saved on the device, the car won't start. It's that simple. Its makers have even thought of what to do if you send your car in for service. There's a special 'valet' mode that allows you to turn off the scanner if you need someone else to drive and you're not around to lend a helping hand.